We are a leading Manufacturer of retaining ring, electrical extension springs, electrical component spring and taper drum springs from New Delhi, India. 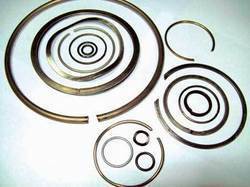 Being a well established firm, we bring forth an excellent gamut of Retaining Ring that is stringently examined by our skilled quality controllers on various parameters. The offered range is manufactured using top notch quality raw material and sophisticated technology. Our customers greatly rely the offered range for its associated quality features and cost effectiveness. Apart from this, the offered products are available to our clients in various sizes and grades from every nook and corner of the nation. To continue our goodwill in clients’ consideration, we are successfully engrossed in manufacturing and exporting a comprehensive range of ElectricalExtension Springs. Our products are frequently used to pull loads or support tensile therefore manufactured using standard quality raw material and cutting edge technology. 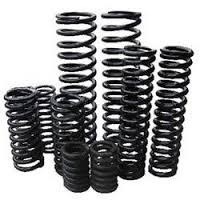 To cater to the demands of our customers’ consideration, we are highly engaged in manufacturing and exporting a wide assortment of Electrical Component Spring. Technology used in manufacturing process of this spring is highly sophisticated using competent workforce. In order to deliver a defect free range, the offered range is rigorously tested on respective quality parameters. Moreover, this spring is available at affordable market prices with no constraint. We are one of the leading manufacturers and suppliers of a comprehensive range of Taper Drum Springs. These products are acknowledged for their dimensional accuracy and durability. 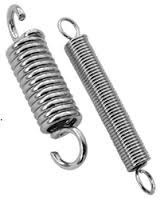 Moreover, we employ best quality raw material and high edge technology at our manufacturing process to design the springs at par with international standards. 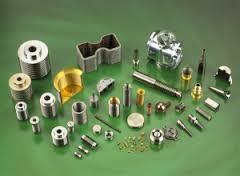 Looking for Electrical Springs ?